Spuma Nera 250ml 12 pcs. 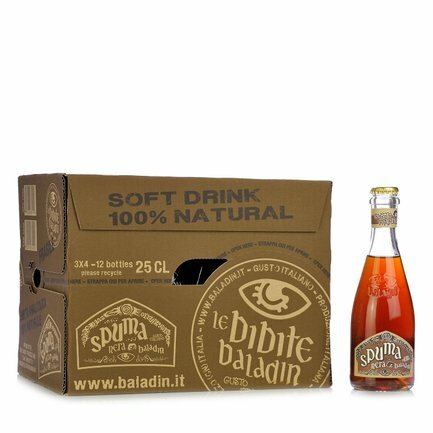 Baladin's Spuma has an unmistakable flavour that takes you back in time. If you're young you won't know it, but if you're not so young it'll be a taste from your childhood. 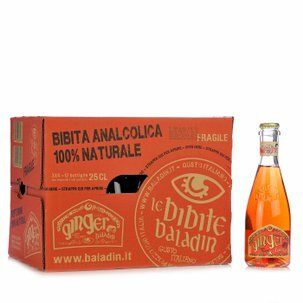 In the Eataly pack of 12 X 250ml bottles, you'll find all the flavour of an out-of-the ordinary, sparkling and refreshing soft drink with a distinctive harmony of tastes: as tangy as orange zest and Chinotto and as special as rhubarb. The drinks! Eataly has chosen to bring you natural beverages only, seeking out the especially good ones. Baladin's soft drinks are exceptional because they contain no colourants or preservatives and are made with really unique ingredients. And that's the secret behind their unmistakable taste.